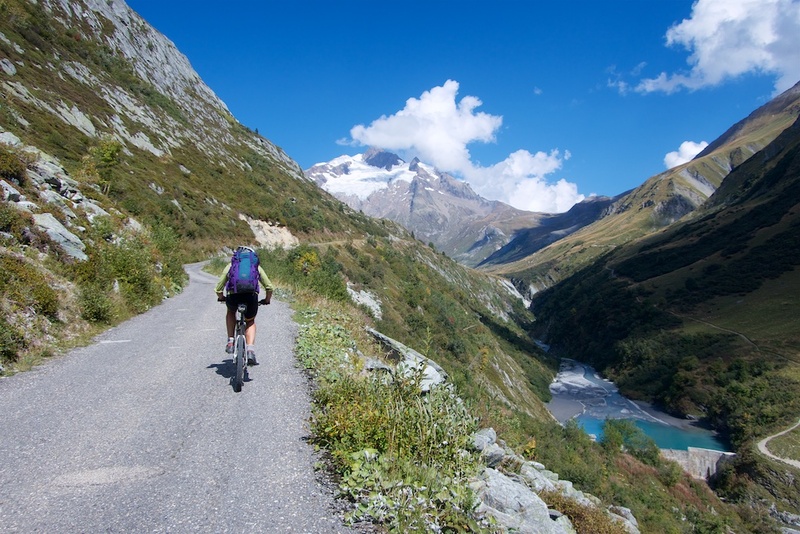 One of the more amazing cycling trips I’ve ever done. 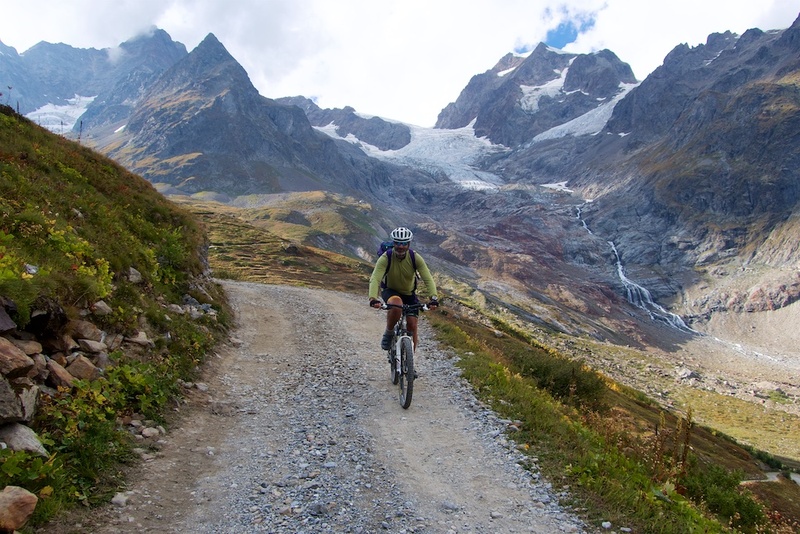 A three day loop around the Mont Blanc Massif by mountain bike through France, Italy, and Switzerland with endless glacier views. Paradise. I rode with my friend Alfie, the President/King of the Steel Wheelers, my local cycling club. 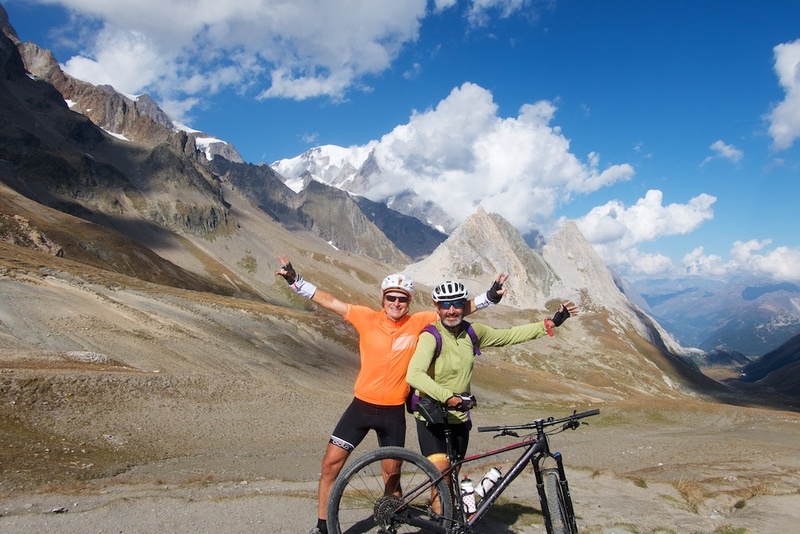 See here for details of Day 2 – Entrèves (Italy) to Champex (Switzerland) via Grand Col Ferret. This post will detail day 1 of our 3 day trip. At the bottom of the post is a second map showing the entire 3-day route. As usual, there will be lots of photos. 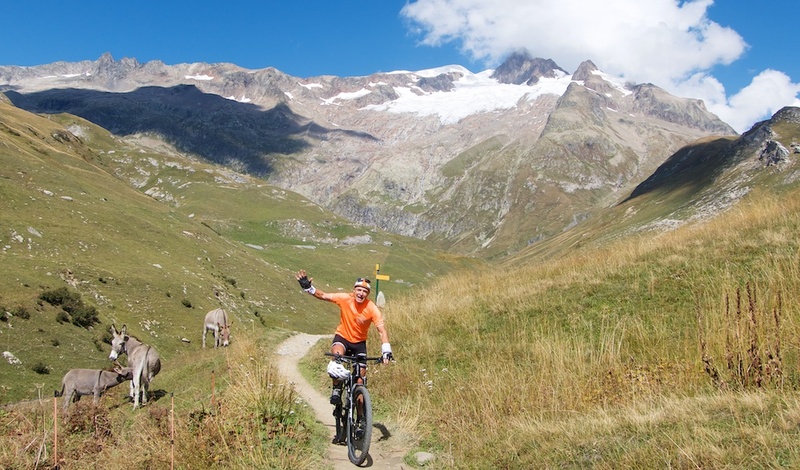 Starting from Les Contamines we jumped onto some trails and soon reached Notre Dame de la Gorge. 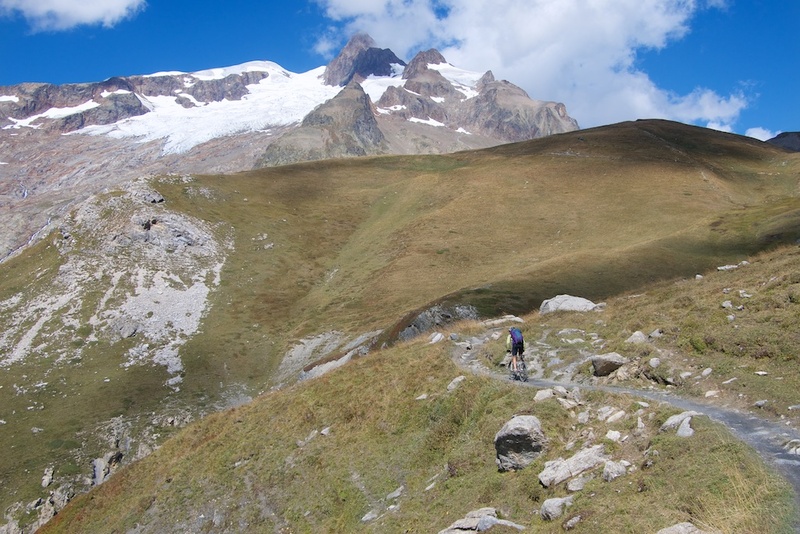 This is the start of the unpaved La Voie Romaine that leads to the Col. It’s a “road” until roughly 2000 metres, but often very, very steep especially early on. Roman coins have been found at the col, but it’s an exaggeration to think this is an old Roman road. For example, the Pont Romain was built in 1780. 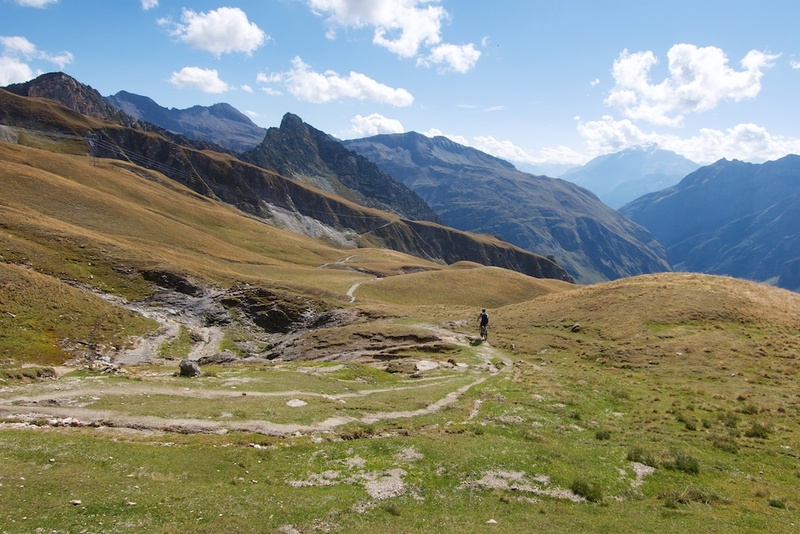 Above 2000 metres, the road becomes a hiking trail. 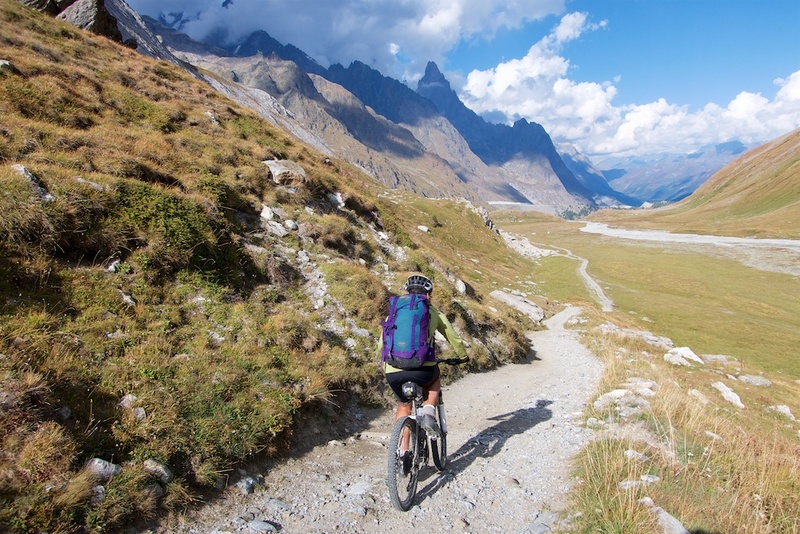 It’s sometimes rideable, but often bike carrying is required. The majority of our 3 day journey would follow the main TMB route (and occasionally official secondary options). 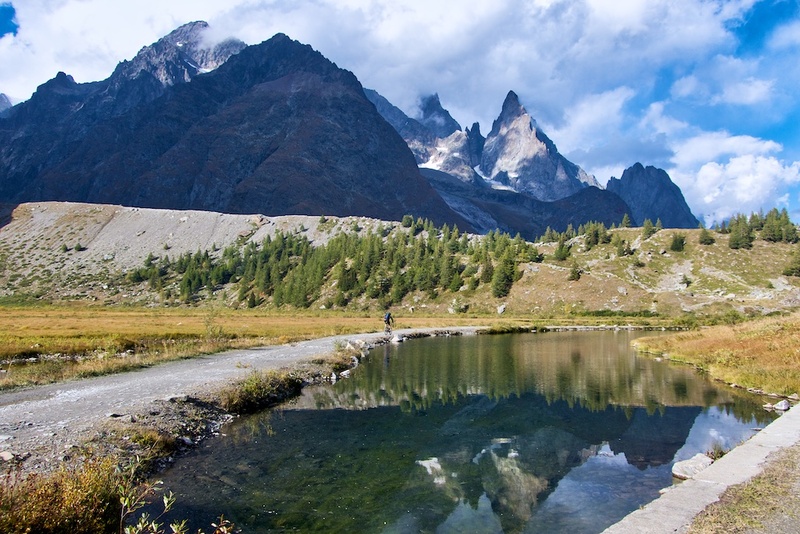 The TMB (Tour du Mont Blanc) is a popular official hiking route so it’s always a well-signed and well-used trail. 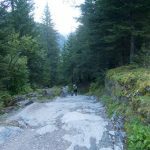 At the end of the road is another trail that leads to the beautiful Lac(s) Jovet (there are 2 lakes with the same name). 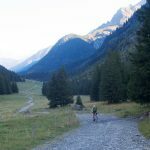 I’ve visited there by mountain bike – details here. 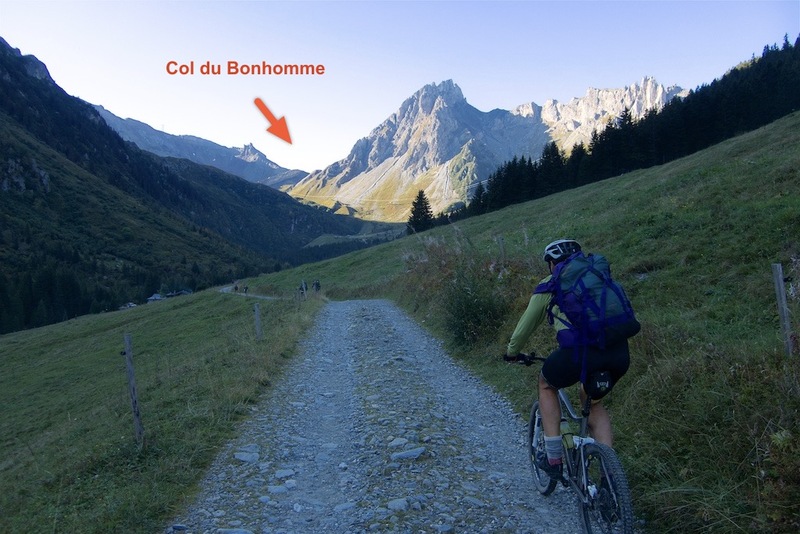 Col du Bonhomme is at 2329 metres and has wonderful views in every direction. The Col is not the high point though. 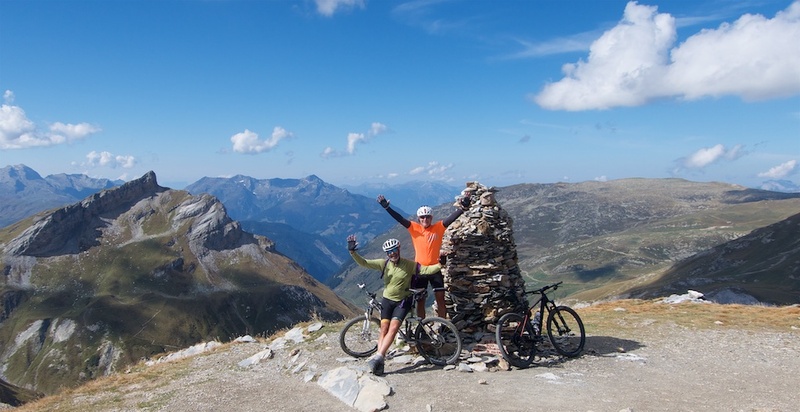 We would head higher on a great ridge stretch summiting at 2479 metres just above the Refuge du Col de la Croix du Bonhomme (2433m) and Col de la Croix du Bonhomme (2410m). 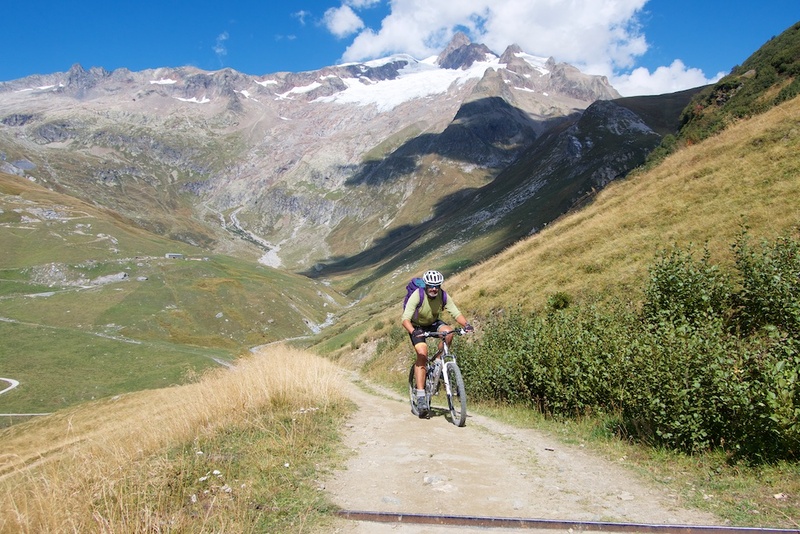 As the profile on the above map shows, the descent to Les Chapieux is often very steep. 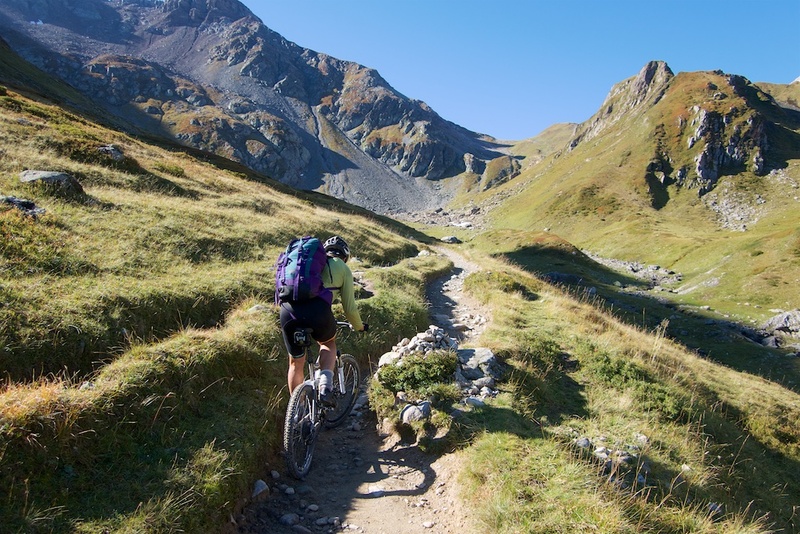 It’s mainly trails, not dangerous, but you better have adjusted your brakes. 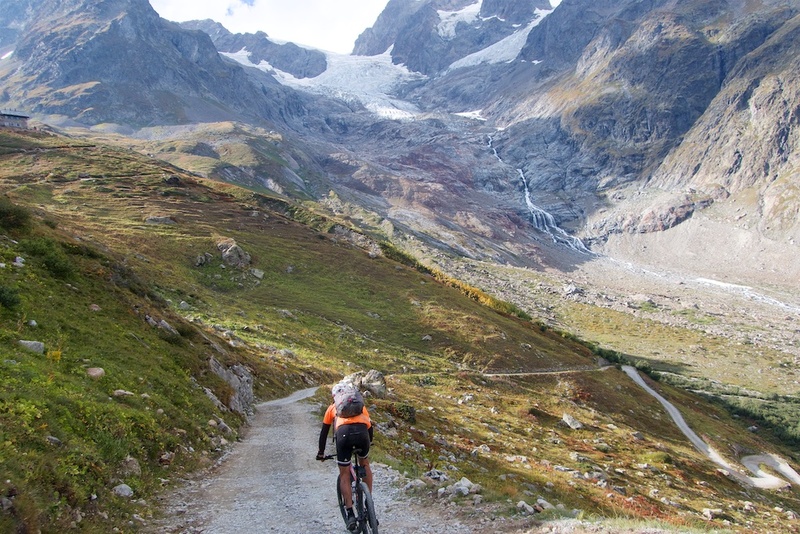 At La Villes des Glaciers we turned right onto a gravel road that would soon turn into a hiking trail. Again, it becomes very steep and technical at times. We would cycle easiers stretches and push the rest. But we were both very cheerful. What a place! 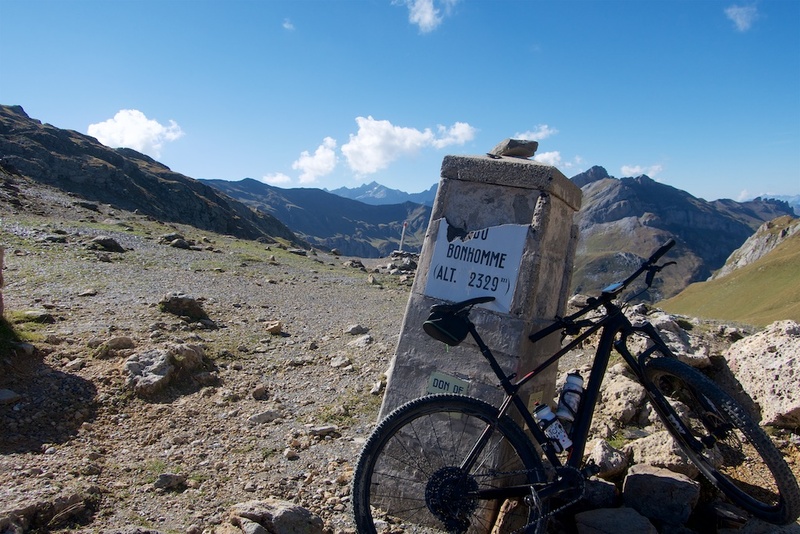 Col de la Seigne (2516 metres) is the French/Italian border. 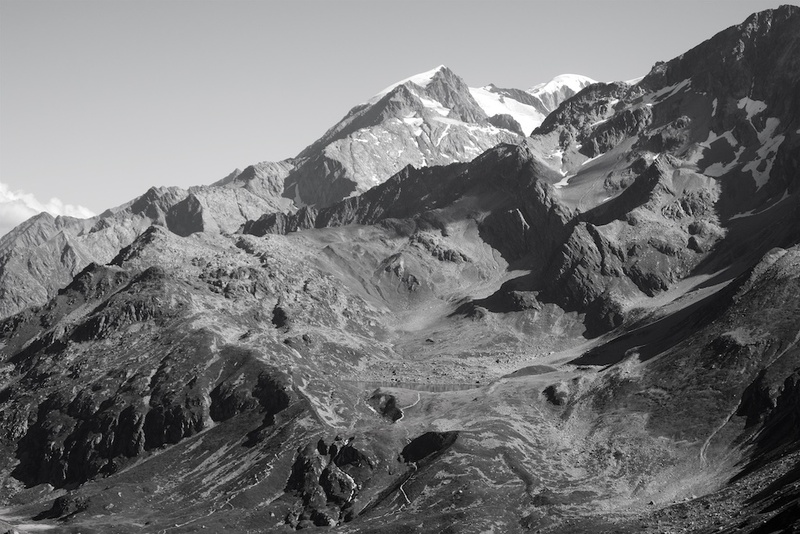 We could see a cloudy covered Mont Blanc in the distance. 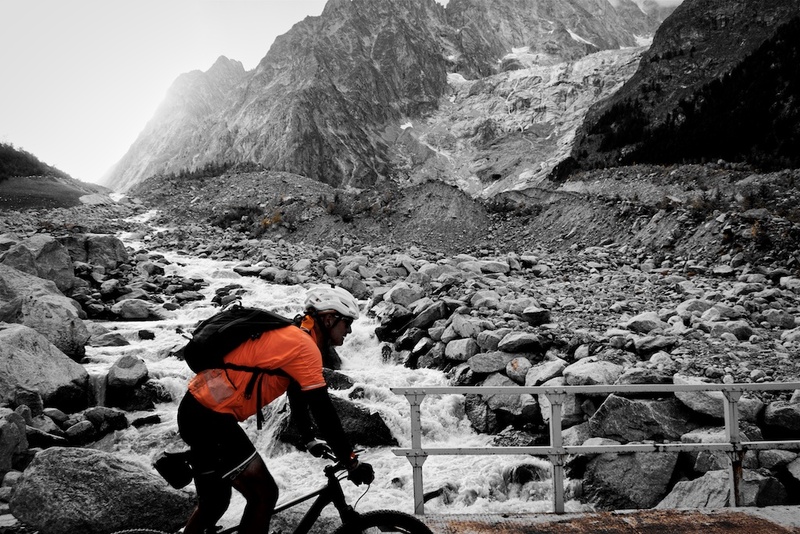 The descent to our Day 1 end-point of Entrèves (just above Courmayeur) through the Val Veny is phenomenal. It’s a touch technical at first then completely rideable. On our left we passed glacier after glacier as we got closer to Mont Blanc. I don’t have the adjectives to do this justice. Note, near the bottom of the descent we took a left onto a quiet gravel road that allowed us to avoid descending down low into/below Courmayeur, instead passing the entrance of the Mont Blanc tunnel into the village of Entrèves. That is an area I want to return to and make a nice tour someday! Thanks for sharing your trip photos and blog. 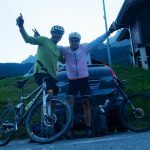 I have a gravel bike but not mountain bike, could a tour like this be completed on gravel bike? Ryan, I suppose. It depends how fussy you are. But this particular ride is really designed for a mountain bike. Lots of very bumpy, technical descending. I’m considering doing the same trip this summer. 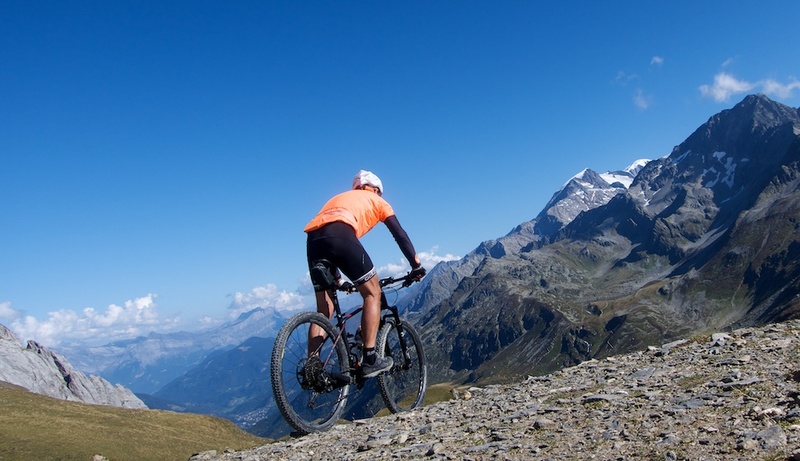 How experienced should you be on a mountain bike before doing this trip? 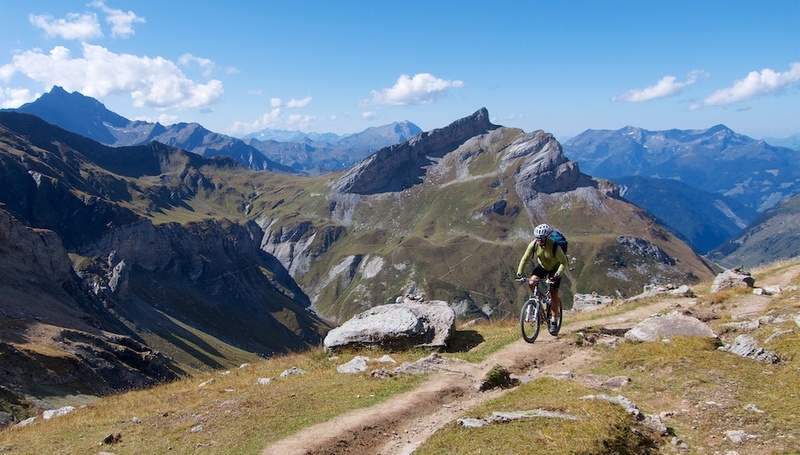 Do you know how difficult it is compared to the Sella Ronda MTB Tour in Italy? 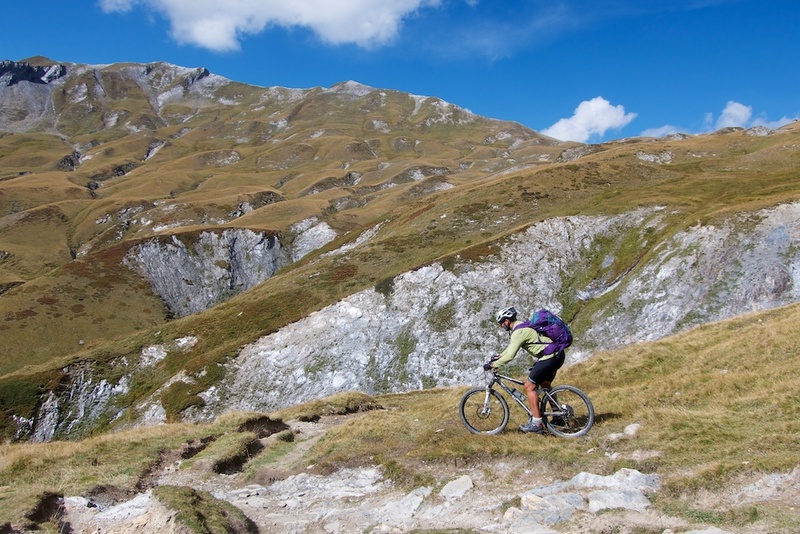 Sorry, I don’t know Sella Ronda Mtb Tour. 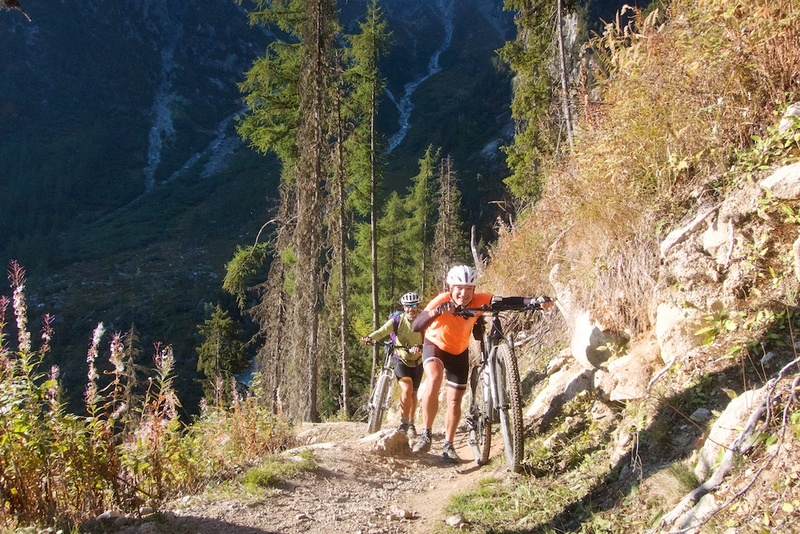 This loop is tough, with quite a lot of pushing – it’s not designed for bikes. We’re pretty average but it took us 3 full days. I wouldn’t recommend this to someone not used to at least some full day rides that require pushing the bike for long periods. But it’s a beautiful loop. Accomodations? I don’t know. I think it’s worth planning ahead, especially in summer as there aren’t many options in lots of places along the route.